The accident that claimed the life of optometrist Ryan Yonny Koyama is under investigation by the California Highway Patrol. 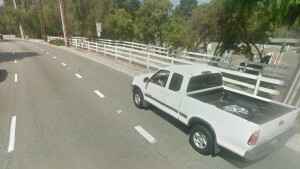 Koyama, 69, of Rancho Palo Verdes was driving his 2003 Mercedes-Benz 500 SL south on Crenshaw Boulevard, north of Palos Verdes Drive North, in Rolling Hills Estates just after 2 a.m. on Tuesday when he struck a horse and apparently lost control of his car. He was taken to Torrance Memorial Hospital, where he succumbed to his injuries. The horse was euthanized at the scene. It has not been determined whether any charges will be filed or legal action taken. CHP Officer John Tye told The Rafu Shimpo that the investigation was at a preliminary stage and it was too early to say anything further. “We want to make sure we’re thorough … Officers are investigating every possibility,” he said. Koyama and his late father, John, had an optometry practice in Gardena’s Pacific Square. Ryan Koyama retired in 2006, and the practice is now run by Dr. Jerry Wake. Ryan Koyama’s brother, Sanford Gerry Koyama, is also an optometrist and has a practice in Fountain Valley. The father and both sons were charter members of the Asian American Optometric Society, originally known as the Japanese American Optometric Society, established in 1972. See the obituary notice here.